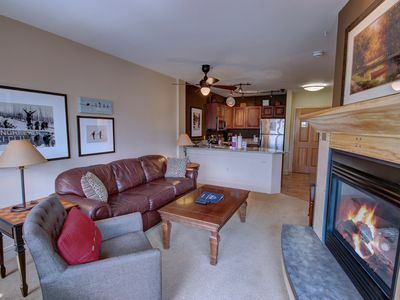 Cozy studio next to chairlift, hot tubs, heated parking! 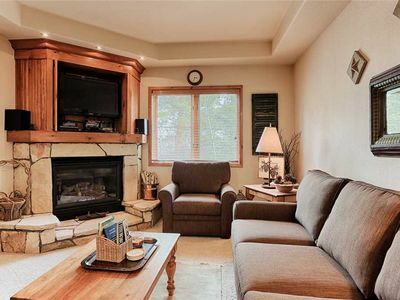 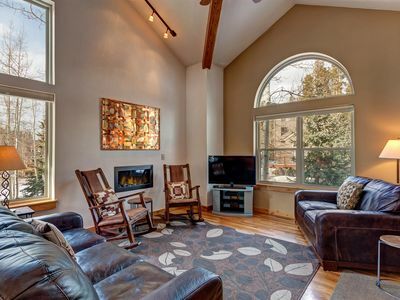 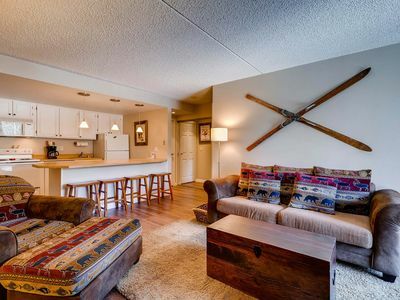 This cozy studio features contemporary furnishings in a lovely mountain setting. 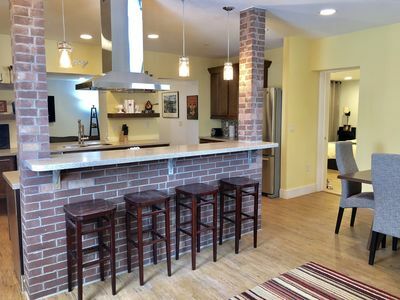 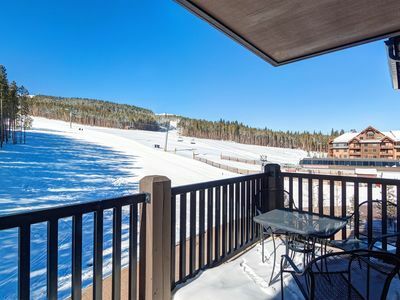 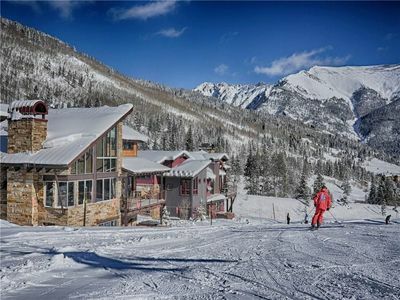 Located adjacent to the Snowflake chair lift and only three blocks from historic Main Street, this property is also about 40 yards from the free town shuttle stop, allowing for easy access throughout Breckenridge, including ski school services at the base of Peak 8 or 9. 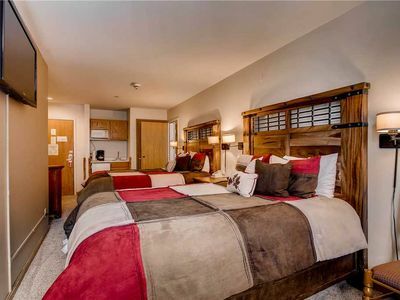 This unit features a new comfortable memory foam mattress and comfort-foam sleeper sofa updated April 2015, along with kitchenette, gas fireplace, complimentary Wi-Fi, and a jacuzzi tub. 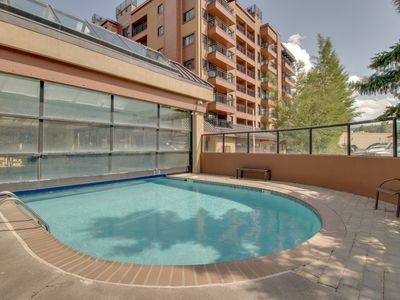 Complex amenities include on-site heated parking, fitness room access, shared gas grills, a beautiful lobby, indoor/outdoor hot tubs, sauna, steamroom, and a private ski locker. 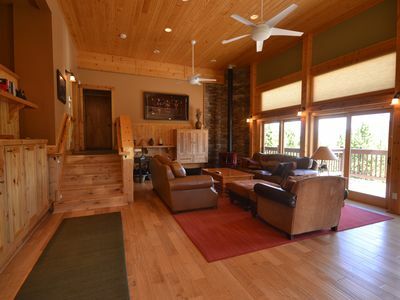 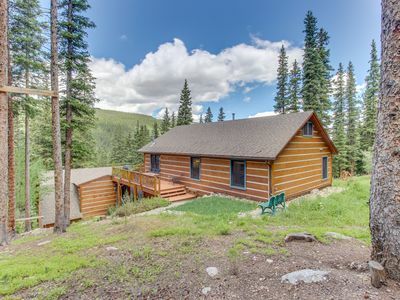 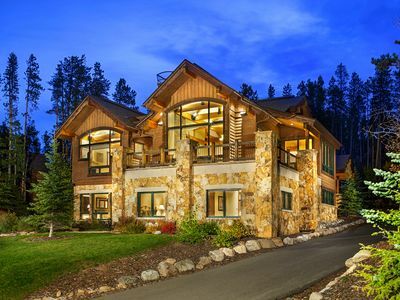 Magnificent log home w/views of Quandary Peak from inside & outside! 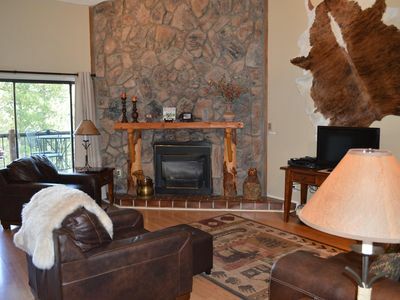 Ski-in/ski-out, shared pool, hot tub, and in town location! 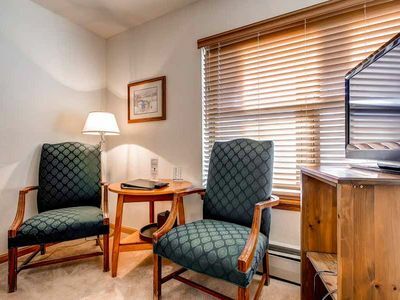 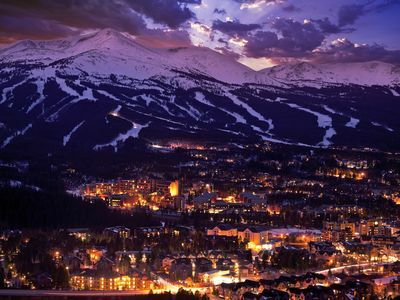 Great hotel room in the heart of Breckenridge, walk everywhere plus ski-in access!